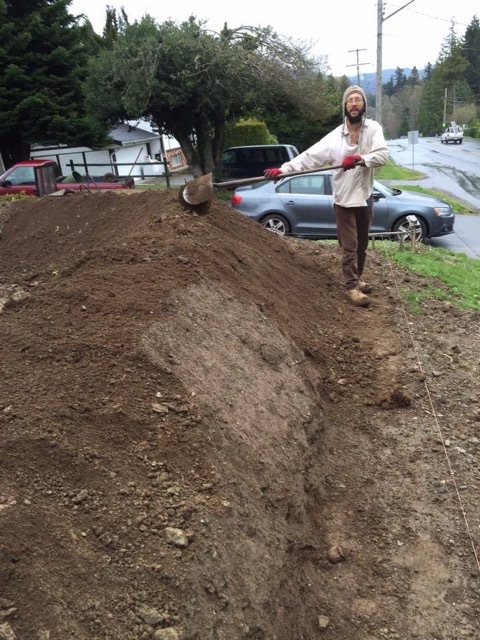 In 2014, Transition Sooke took a first step in launching a Sooke permaculture demonstration garden. Local permaculture designer Jonathan Francoeurand was contracted for the work, and homeowners Adam and Cheryl Noseworthy provided the front yard. Progress to date has been slow for a variety of reasons, but the garden has been well thought and the vital role of patience in the permaculture process is certainly at play! 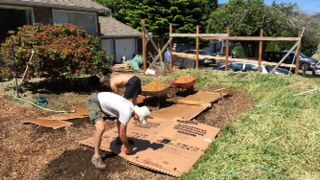 On the summer solstice in 2015, a dozen people gathered at the Sooke Road property for Sooke’s first Permablitz. The day was spent creating garden paths and growing beds using compost, manure, cardboard and wood chips. A delicious lunch was provided with ample time to relax and socialize. Adam and Cheryl are now taking over as they develop a perennial food garden that serve their family well while also serving as an inspiration to others. 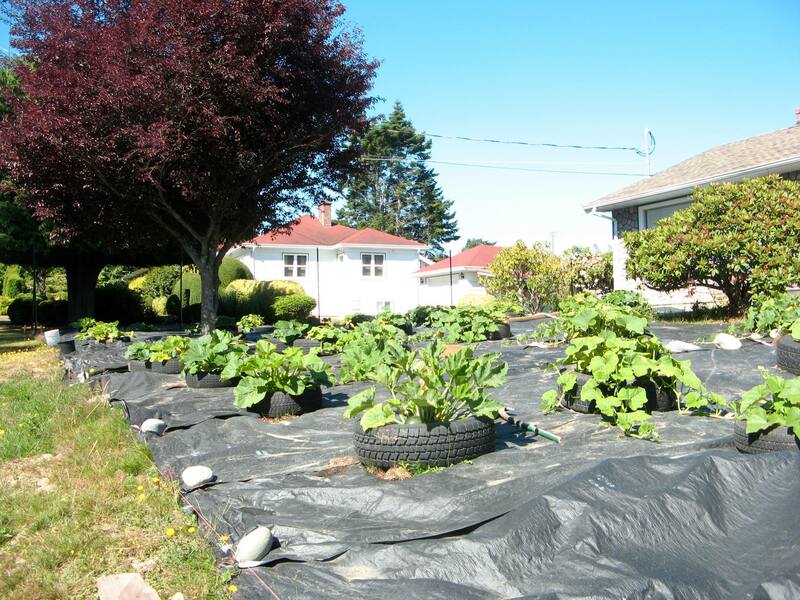 As one organization dedicated to the permaculture movement puts it: Let’s grow food not lawns!